Located in the beautiful Historic District of Reidsville. 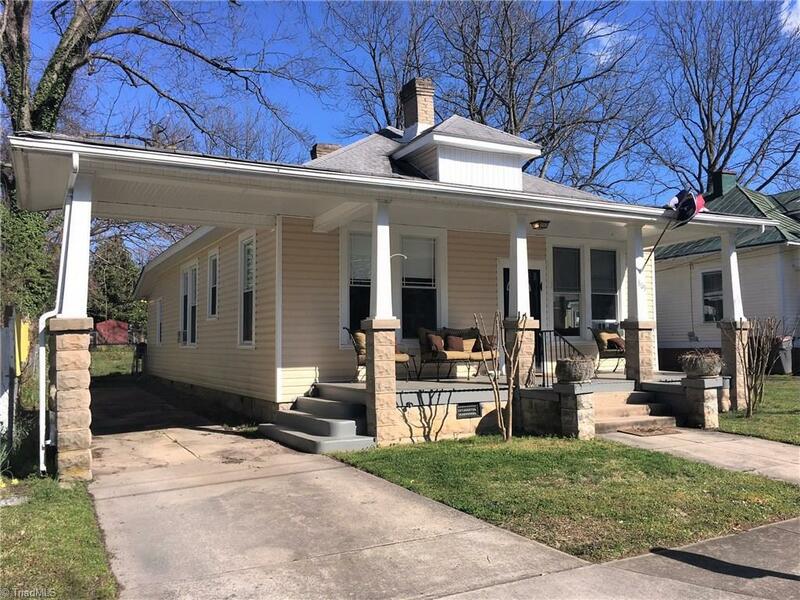 This 3BR/2BA charming bungalow is ready for you to call it your home. Spacious LR, bright sun lit kitchen loaded with cabinets and space to cook. Range & refrigerator convey. Lovely hardwood floors. Formal DR, enclosed back porch, fenced in backyard. Wired storage building. Gas hook up available for dryer and stove. Front porch rebuilt and ready for those cool spring days sitting in your rocking chair.